The Los Angeles Times reports a new poll out regarding the marijuana legalization measure on the California ballot in November, shows a slight lead by those opposed to the measure. As our Los Angeles marijuana defense attorneys reported last month on our Marijuana Lawyer Blog, an earlier poll found a slim measure of support for the issue. 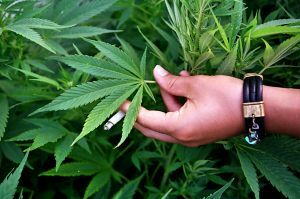 Known as Proposition 19, the measure would make it legal for those over the age of 21 to possess up to an ounce of marijuana. The Field Poll found 48 percent of likely voters oppose the measure, while 44 percent support it. Traditionally, Propositions that trail in early polls have a tough time passing. Our Los Angeles medical marijuana dispensary lawyers continue to fight on behalf of collectives and dispensaries being forced to close throughout Southern California. We question how legal marijuana will be sold if businesses operating legally under California law are permitted to be closed by a patchwork of local legislation. The City of Los Angeles is attempting to force 400 marijuana dispensaries to close, while Los Angeles County is hashing out a tough new ordinance that would prohibit the businesses from relocating into unincorporated areas. Good news for supporters: Three-quarters of potential voters had heard about the measure and those voters supported it 48 percent to 44 percent. It was the 2 to 1 opposition by the 25 percent who were not familiar with the measure that tipped the scales toward defeat in November. The measure is being touted as a money-maker for local governments, which would be permitted to regulate and tax commercial sales. The poll found white voters support the measure, while Latino, black and Asian American voters heavily oppose it. We recently reported that the California branch of the NAACP voiced support for the measure, citing the disproportionate number of minorities who face marijuana-related criminal charges. The CANNABIS LAW GROUP is a law firm dedicated to the rights of marijuana users, patients, collectives and growers and has built a reputation for high-powered, aggressive legal representation of all types of marijuana cases in Southern California, including criminal defense. Call 714-937-2050 for a confidential consultation to discuss your rights.